It's always hilarious walking into a gun store around the holidays. Husbands and wives moving through the aisles, trying to search for that perfect gift for this Christmas season. There's a lot of really good deals for gun owners out there but before you break out the plastic or the billfold, here's a couple important tips for transferring a firearm between parties. If you have a Federal Firearms License, this article may not be for you. Chances are good if you have an FFL, you already know the process for transferring firearms between unlicensed persons. “Unlicensed persons”, in this case, doesn't refer to a concealed carry permit insomuch as it refers to an FFL. We're using the Bureau of Alcohol, Tobacco, and Firearms (ATF) as a resource to talk about issues surrounding getting someone a gun as a gift. As long as the person lives in the same state as you, the process for an unlicensed transfer is going to be quite simplified. If you both live in the same state, you're required to obey state law. Let's take a more strict state like Massachusetts as an example. In the Commonwealth of Massachusetts, the law requires residents to report the sale or transfer of a firearm within 7 days of the transaction. So, if you're gifting a handgun to your niece, for example, and she opens it on Christmas morning, you have to make sure the state knows about it no later than January 1st. There's a state website that handles the paperwork for Massachusetts firearms transfers. In the off chance you're reading this and in Massachusetts, here you go. Now, let's take a more liberal state like West Virginia. In the State of West Virginia, the state limits themselves and stays out of the equation altogether. If you can legally own a handgun by virtue of the requirements listed by West Virginia, you are not prohibited or restricted from accepting that handgun as a gift. For an out-of-state transfer of a handgun, you will likely be required to transfer between FFLs. This may ruin the surprise of the present but it's absolutely the law. So, if you're out-of-town uncle comes to visit and you got him a nice, sterling silver plated 1911 (good on you, by the way), instead of him taking the gun home with him, you might want to check with transferring to an FFL in his home state. This way, you're making sure neither him or you are violating any laws. An FFL-holder will know the state law regarding the transfer. Giving a gun as a gift is more complicated in universal background check states is more complicated than in states that do not have such laws. Bear in mind that this isn't legal advice, but is merely disseminating publicly-available information. A "universal background check" means that a state has a law requiring that any and all transfers of firearms from one person to another involve a background check be done on the person who is receiving the firearm. That can include sales, it can include gifts. By "universal," it means that someone has to get a background check to take possession of a gun from another person. In these states, the person receiving the firearm as a gift has to undergo a background check before they can take possession. Unfortunately, there aren't any exceptions, even for transfers between family members. It doesn't matter if it's little Billy's first deer rifle or first Glock; transfer must involve a background check. There are two methods to accomplish such a transfer. The first is for the person making the transfer to have a Federal Firearms License, or FFL. FFL holders have access to the National Instant Criminal Background Check System or NICS, and can therefore do their own background checks. If not, an FFL has to be sought out to perform the check. What's very common is for private party transfers to be done at a gun store that's willing to conduct third-party transfers. Many are - just call a few and ask around. There are only a few universal background check states. They are CA, CO, CT, DE, MD, NY, OR, PA, RI, WA and the District of Columbia. However, of these states, Pennsylvania and Maryland only require universal background checks for the transfer of handguns. Long gun transfers don't require one in those states. If you live in one of those states, be sure to set up a background check so the transfer can be legally completed. These laws are somewhat controversial, as universal background checks are accepted by some gun owners but opposed by others. It certainly makes the "first gun" issue much more complicated. Furthermore, some states require a permit for purchase, which can make the issue more complex. However, not every state requires a purchase permit for a non-sale transfer. The purchase permit states are HI, IA, IL, MA, MI, NE, NC and NJ. Of these states, IA, MI, NE and NC only require a purchase/possession permit for handguns. If a resident of these states, check your state laws to determine if the party taking possession has to have a permit to purchase or possess a handgun. 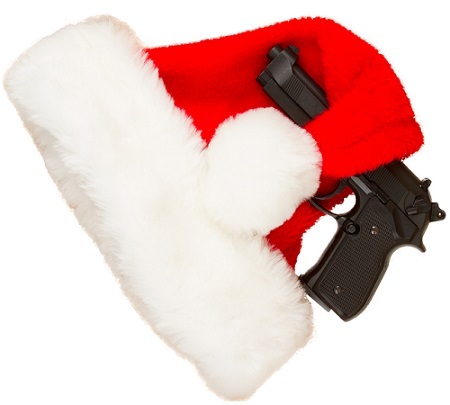 Handguns are great gifts to give for Christmas. It's an investment in the safety and protection of someone you love. In addition to considering adding an Alien Gear Gun Belt and an Alien Gear Gun Holster to the equation, make sure you obey your state's laws for in-state transfer and Federal law for transfer between states. There are some things to keep in mind when buying a holster for somebody else as well. 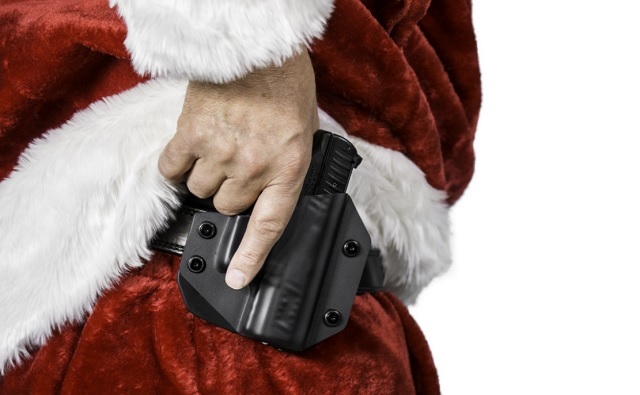 For example left or right hand preference, iwb vs owb, take a look here at our article if you are thinking about gifting a holster this Christmas: How To Gift A Gun Holster. 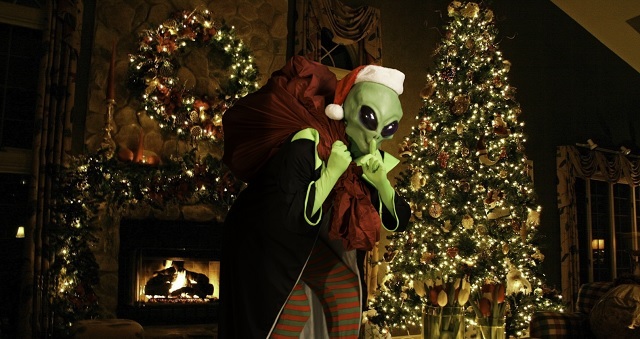 Merry Christmas and a happy shopping season! If you need a holster to giveaway in time for the holidays, check out our black friday gun holster deals. This is what really blows the mind of a liberal. In your example, if you live in West Virginia you perpetually live in their “gun show loophole” state. What’s even more complicated is this Is a 5th amendment issue. Personal property is just that and you can do with it as you please. The complicity of the law is fortunate for the gun owner.